Dino Melaye is by far one of the most controversial senators in Nigeria who has, over the years, built a reputation for stirring up dramatic scenes every now and then. The embattled senator has often trended in social media circles especially when he runs into trouble with the law and begins demonstrating what many have dubbed ‘his theatrics’. Melaye who has been at war with the Nigerian police recently over an allegation of homicide, took to his Instagram page to make a statement today. According to him, he will not fall despite everything happening to him, because he is like the scrot*m of a ram which dangles but never comes off. 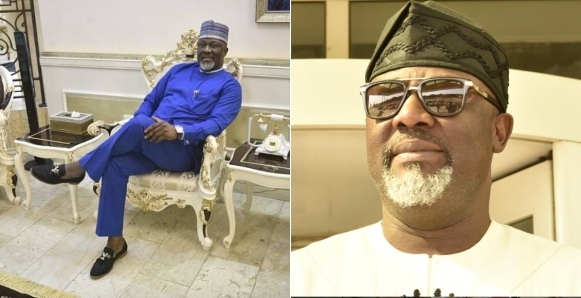 He shared a photo below of himself and then captioned it, “Dino Melaye is like the scrot*m of a ram, it will dangle and dangle but will never fall.